Michelle is one of very few musical artists with proven success across multiple music genres. From gospel, rhythm & blues to pop and dance, Michelle maintains strong positioning across most genres while being highly respected amongst her peers and fans; she is constantly reinventing herself. The multi-talented recording artist-producer-songwriter-actress-entrepreneur delivers an important message: Expect the “Unexpected.” In her latest album, Michelle forges a fresh and innovative new sound destined to be emulated for years to come. The sparkling, groove-laden tracks present Michelle as she has never been seen before. Born and raised in the quaint town of Rockford, Illinois, Michelle first found her voice singing in her church’s choir. While attending Illinois State University majoring in criminal justice, Michelle took the leap of faith towards her passion-music. Williams rose to fame in the 2000s as a member of R&B girl group Destiny’s Child, one of the best-selling female groups of all time with over 60 million records, of which more than 35 million copies sold with the trio lineup with Williams. During their hiatus, she released her debut solo album Heart to Yours (2002) which topped the US gospel album chart and became the best-selling gospel release of the year. Also in 2002, Billboard, named her the fifth Top Gospel Artist of the year and she received a MOBO Award for “Best Gospel Act”. 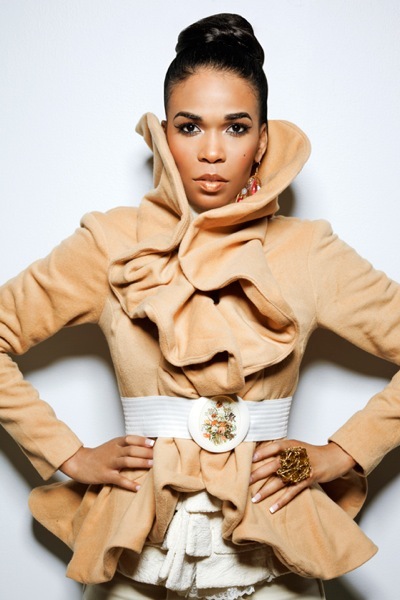 Following this she released Do You Know (2004) which gained her a nomination for “Best Gospel Act” at the 2004 MOBO Awards. After Destiny’s Child’s disbanded in 2005, Williams released her first pop album, Unexpected (2008), which spawned the internationally-charting single “We Break the Dawn” and the US Dance number-one “The Greatest”. Her fourth studio album, Journey to Freedom (2014) was critically acclaimed and became her highest-charting charting album in the US; preceded by lead single “If We Had Your Eyes” which reached the US Adult R&B top 20 and the Soul Train-nominated “Say Yes”, which charted internationally and topped the US Hot Gospel Songs chart for 7 weeks. Journey to Freedom was nominated for Outstanding Gospel Album (Traditional or Contemporary) at the 46th NAACP Image Awards and earned Williams four nominations at the 30th annual Stellar Awards, winning Music Video of the Year for “Say Yes”. In 2015, Williams sang for U.S. President Barack Obama & First Lady Michelle Obama at the White House. The Color Purple (2007), Chicago (2009–2010), What My Husband Doesn’t Know (2011) and Fela! (2013). Furthermore, she was a featured judge on MTV’s Top Pop Group, a contestant in series 8 of Strictly Come Dancing and co-stars alongside Deitrick Haddon in the Oxygen reality television series Fix My Choir. She has earned several awards and accolades including but not limited to, a Grammy Award and star on the Hollywood Walk of Fame with Destiny’s Child; a solo MOBO Award and Stellar Award. This entry was posted in Entertainment+ and tagged Michelle Williams (feat. Dawkins & Dawkins) - "Love Thang, Michelle Williams - "Heart to Yours, Michelle Williams - Believe In Me, Michelle Williams - Do You Know, Michelle Williams - We Break The Dawn. Bookmark the permalink.